After I graduated from college I had difficulty finding a job so I did what most college graduates do, I got a job in a completely unrelated field than my major. In my case, it was waiting tables. I remember my first day on the job thinking, “I got a college degree and now I am going to be a waitress for the rest of my life!” This was a discouraging and disappointing time in my life. To make matters worse I had three maxed credit cards, student loans that were coming due and was barely scraping by each month. I remember having no money at all except maybe a little change in my apron from work. 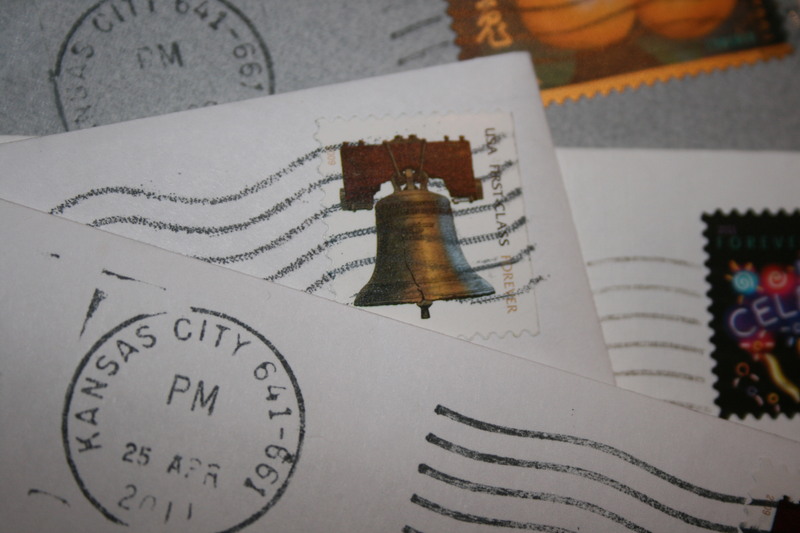 When I needed to mail a bill I would have to go to the post office to BuY oNe StAmP for that bill because I could not afford the $5 or so to buy a book of stamps. Needless to say, I had tremendous financial pressure. It felt like a belt was around my neck and cinched so tight I could hardly breathe. Who would have thought that being broke could have been a GoaL? At that point I would have been thrilled to have no money and no debt. But instead I was thousands of dollars in debt. Fast forward to a few years later when I landed my first teaching job. It was at this point that I made the conscious effort to be a GoOd StEwArD of my money and get out of debt. At first that belt around my neck was still cinched tight, but with every step I took towards financial freedom I found that belt loosening. It took year after year of making wise financial decisions before I saw significant changes in my finances, but with my commitment and diligence I made continual progress. 1.) I ReFuSeD tO qUiT regardless how small the changes were. As a teacher, I received a paycheck once a month. I would pay my bills at one sitting and whatever was left in my checking account was what I had to spend for the entire month. This amount for me usually was around $75-$100. Out of this money I had to buy food, gas, oil changes, toiletries, clothes, etc. I remember once having two luxury items I really wanted but could not afford to buy immediately: a $20 candle and a $20 garden hose holder. Both of these items I had to wait to buy until I had money saved up. I didn’t just live like this for a few months or a year or so. It was a few years, but I refused to be discouraged and give up. 2.) I was a GeNeRoUs GiVeR. The Bible says that whatever you sow you reap and with the measure you give to others it will be given to you. The first portion of my paycheck (tithe) I gave to my church. I also gave money to good causes. As a result I saw God blessed me richly. Someone gave me a lawnmower. I bought a piano for $100. Good deals and bargains seemed to find me. Speaking of this . . . 3.) I became a BaRgAiN sHoPpEr. I shopped at stores such as Marshalls and T.J. Max’s where I would find brand name clothes at a fraction of the cost. 4.) I WoRkEd My TaiL Off!!! My school district would give teachers opportunities to work on projects during the school year and during the summer which I would sign up for. I also taught night school, gave up my planning period to teach at our alternative school, coached, wrote curriculum, and taught summer school. 5.) I began SaViNg for my ReTiRmEnT. To be perfectly honest, the amount of money I was saving up was very insignificant, but it was the best I could do and so I did it. When I finally got married after six years of teaching I had for the most part paid off all three credit cards and my car!! It was such a great sense of accomplishment. Yes, those days were lean, but they also developed much character in me. I learned a lot of lessons about life. One lesson I learned was being content. I learned that I could absolutely love my life and yet not have many material possessions. I was truly happy and I felt blessed. If you are where I was at in my days of financial chaos and have a belt cinched tight around your neck, take one step towards financial freedom. I promise as you do, your belt will loosen and little by little you will move toward financial freedom as well. P.S. Want to read more about Financial Peace? Check out DaVe RaMsEy’S book “Total Money Make Over”. Thank you for this inspirational story mrs. coates! My family is in a similar situation….i got a good job with the state only to become disabled by a nasty disease with no cure called intracranial hypertension that has caused me to lose vision, have two brain surgeries, and rack thousands in medical bills. At the same time my son was diagnosed with a rare blood vein disorder and accumulated lots of medical bills of his own. In addition to this my husband was laid off from one job and his hours were cut drastically at the other! So needless to say things are extremely tough! God is the only thing that keeps my head up and keeps me going! And if it wasn’t for our wonderful family we wouldn’t know where our next meal was coming from at times! Thanks for sharing your story with us. Your courageous attitude is such an inspiration! I’m sending prayers your way! Keep the faith!! Thank you! We could definitely use the prayers! I have been sick pretty much all week….I’m thinking my shunt may have failed again! I hope our story can inspire someone else that is in a tough situation as well! Your stories and faith truly inspire me! I remember when you started teaching at the high school…your class was one of my favorites! Did you ever think you would end up where you are today? God is amazing isn’t he?